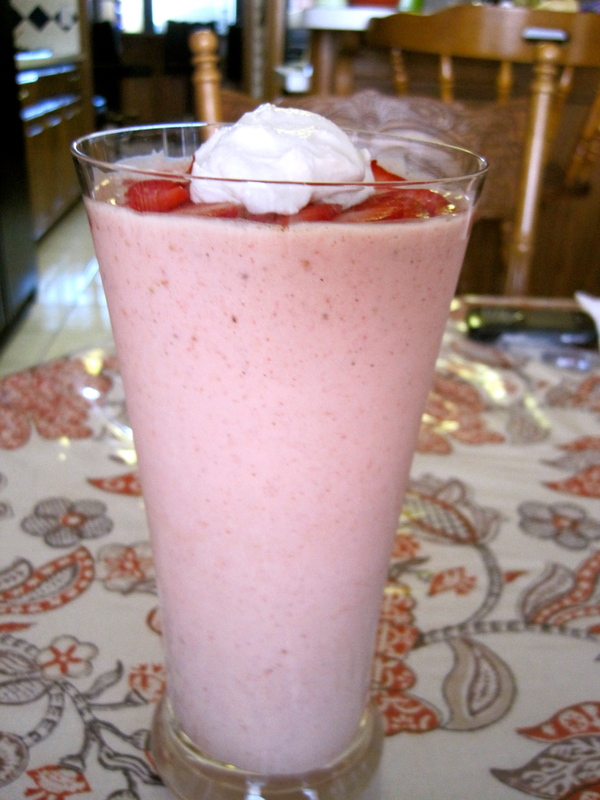 What is it about smoothies that makes them so irresistible? Is it the blending together of ingredients that gives you a taste of every flavor in each sip? Or is it the ease and convenience of throwing everything into a blender and calling it a meal? Either way, I have a doozy for you today. When I saw that Julie had posted this recipe a few days ago, I knew I had to create a vegan version of it. And what kind of person would I be if I didn’t share the delicious creation? Throw it all into a blender and call it a day! I added cinnamon and vanilla to give it more of a graham cracker-y flavor to enhance the overall cheesecake experience. Because the yogurt I used wasn’t as thick as Greek yogurt, I also added xanthan gum to give it a thicker texture. I found this smoothie to be extremely satisfying and enjoyed every last sip. 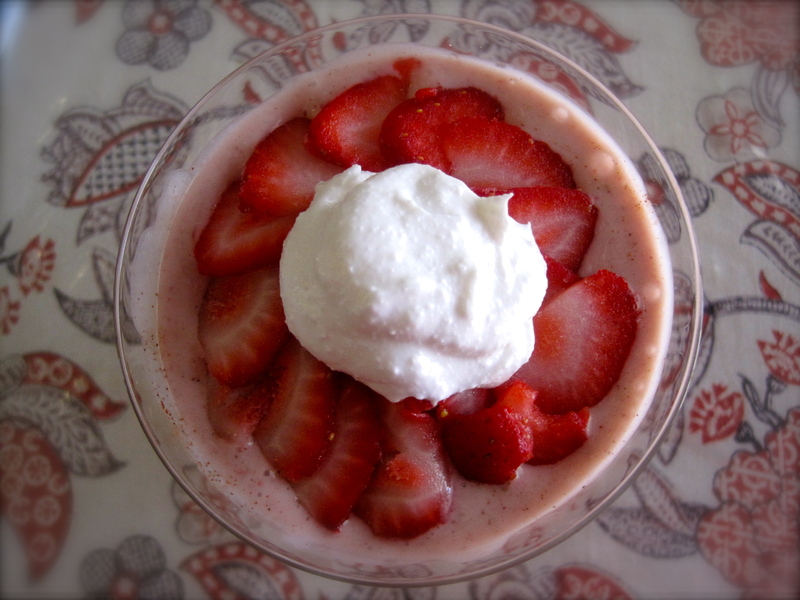 I topped mine with sliced strawberries and some coconut milk whipped cream that I quickly whipped up for good measure, but the possibilities are endless. You can find the original un-veganized version of this smoothie here. Ps. Don’t forget to check out the fairly new facebook page if you haven’t already! 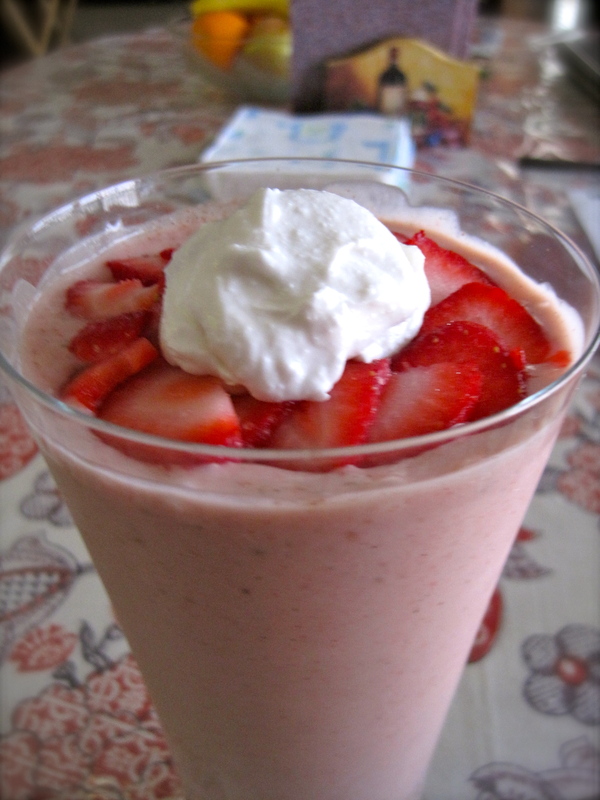 This entry was posted in Food, Healthy, Recipes and tagged almond milk, cheesecake, smoothie, strawberry, strawberry cheesecake, strawberry cheesecake smoothie, tofutti, vegan. Bookmark the permalink. This sounds wonderful! I have most of the ingredients already and am going to the store today so I can’t wait to try this! That’s great!! It really is so easy to make. Let me know what you think! Yes, I did use ground cinnamon. I hope that didn’t cause any confusion–I’ll alter the recipe to specify. And I’m glad they liked it! I’m sure Greek yogurt was wonderful in the smoothie–that is definitely what I would have used if I didn’t have an aversion to dairy!